Yes, it’s a Seven G-3 mod. I made it for a fellow penspinner, Neytiiri. 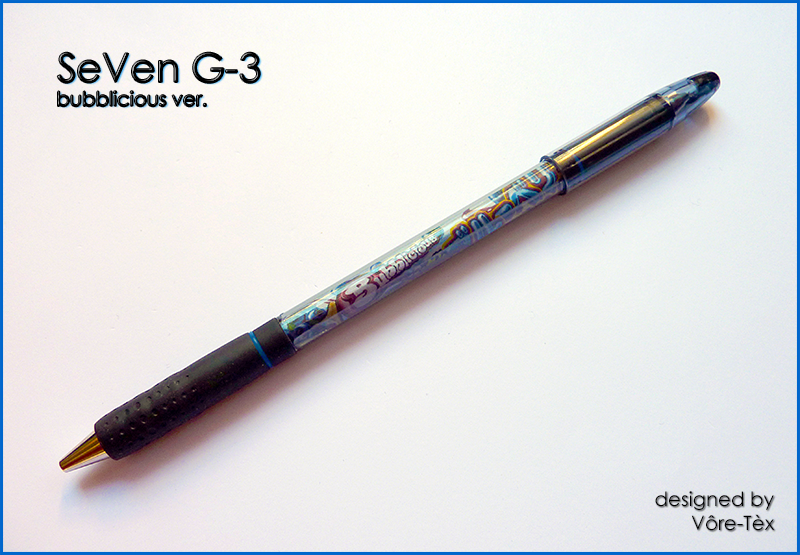 The Seven g3 mod is a very old single cap mod, but people keep to make it with the same colors and the same insert. Making the same mod with the same colors and same inserts are boring myself. I am proud of this one, because I like the aesthetic and looks better than the original. I’ve used a tinted g3 barrel with bubblicious inserts ; tinted barrel with colorful insert is really interesting. Thank you to Shiro who inspired me about that. Share the post "Seven G-3 mod Bubblicious ver."